Sad news has been announced this morning by the Australia media, that one of Prince Harry's biggest royal fans, Daphne Dunne, has passed away at the age of 99. The devastating announcement comes just days after Daphne celebrated her birthday. The Duke and Daphne’s close relationship goes back a pretty long way, with the pair having first met in 2015 outside the Sydney Opera House. Prince Harry noticed she was wearing her late husband Albert Chowne’s military medals, and went to say hello. 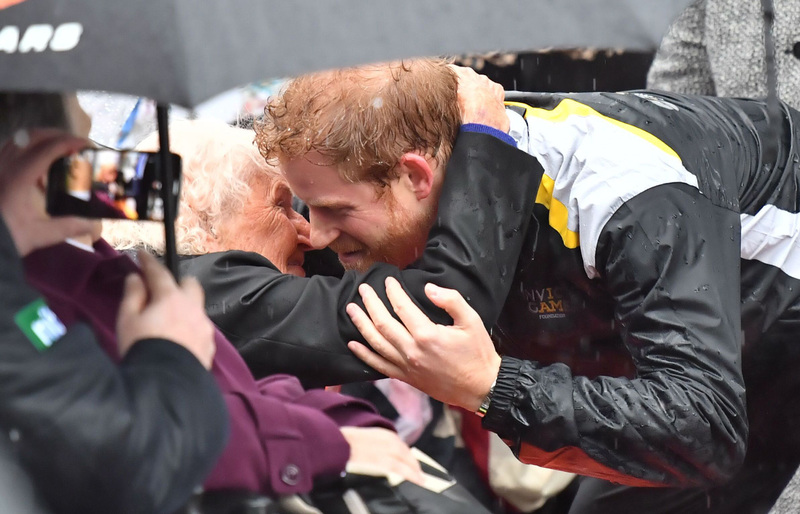 Since then, the pair have been reunited numerous times on Harry’s visits down under, including a trip back in 2017, when the royal was seen warmly hugging Daphne as she waited for him in the pouring rain. Most recently, Prince Harry and Daphne met up again in late 2018, when he and his new wife Meghan made an official visit to Sydney. After spotting her in the crowd, the Duke of Sussex dashed over to say hello, before telling her that he wanted to introduce her to his wife. Meghan and Prince Harry in fact recently sent Daphne a sweet message to celebrate her birthday – although she spent the special day in the hospital. Our thoughts are with Daphne’s family and friends at this tough time.